Charlie Ahearn, director of Wild Style (1983), presents a live slideshow video mix on Rammellzee, set against his iconic radio program Yes Yes Y'all. Featuring special rants, MC excerpts, and Ramm’s theories on the Alpha’s Bet, Ahearn drives us through rare Battlestation photographs, early Hip-hop graffiti slides, video documentation on the origins of Battle Culture, and Wild Stylism through the wind tunnels to Ramm’s Gothic Futurism finale. Charlie Ahearn is a film director, author, writer and radio host, living and working in New York City. He is the director of the classic hip-hop movie, Wild Style (1982), co-author of the book Yes Yes Ya’ll: An Oral History of Hip-Hop's First Decade, and is represented by PPOW Gallery in New York. 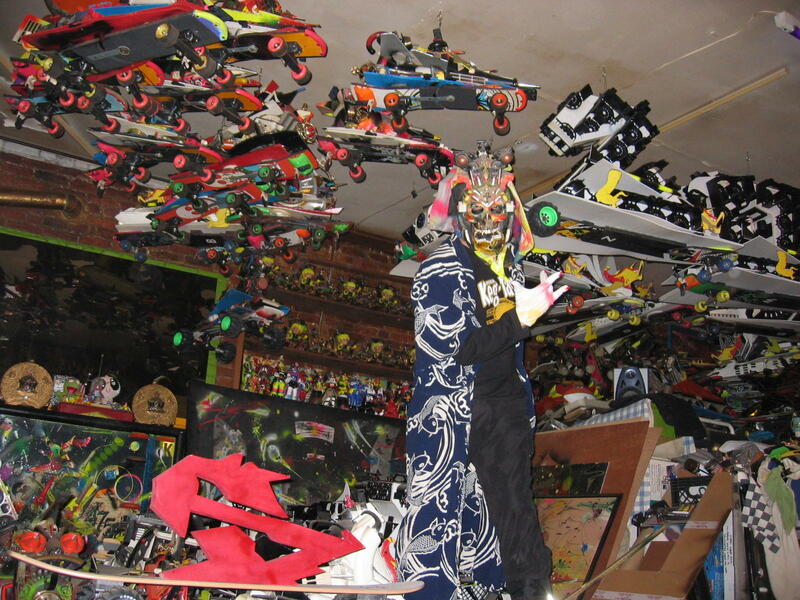 Photo Credit: Rammellzee in the Battlestation, 2005. © Charlie Ahearn. 2005. We're sorry, but because seating is limited, Charlie Ahearn's IKONOKLAST BATTLE STATION VS. THE CLOCKTOWER: IT’S YOUR DEATH, is at maximum capacity! Please check back our site for future programs.